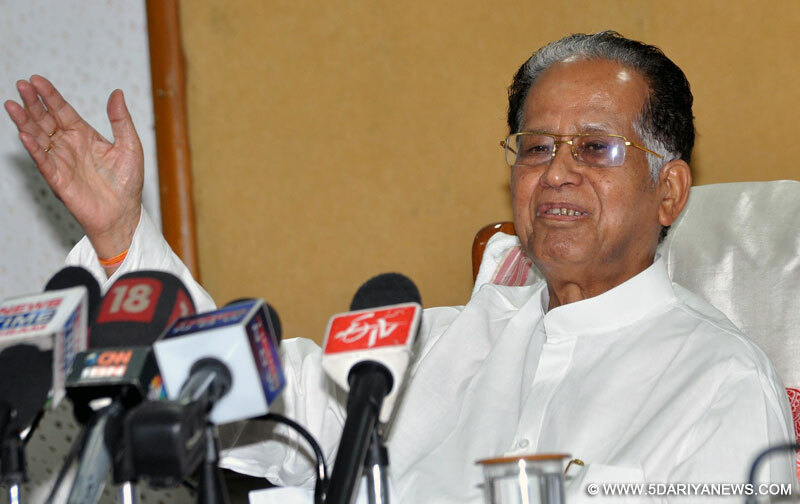 Soon after the Dalai Lama's visit to Assam and Arunachal Pradesh, which drew an angry response from China, former Assam Chief Minister Tarun Gogoi said on Sunday that Chinese Ambassador to India Luo Zhaohui assured him that he he will "take up all our issues" with Beijing.In a series of tweets tagged with pictures, Gogoi said that Lao visited his residence and they discussed a range of issues, including the Tibetan spiritual leader's visit to Arunachal Pradesh earlier this month that had raised the hackles of Beijing. "I am glad to welcome H.E #LuoZhaohui, Chinese Ambassador to India at my Residence & along with @GauravGogoiAsm..," the veteran Congress leader said in a series of tweets. "and we discussed a range of issues v.i.z River Brahmaputra, historic stilwell road for road connectivity to China from Assam,NE terrorism "& Dalai Lama's visit.He have assured to take up our issues with Chinese Govt. & i have also assured to take up his issues with @PMOIndia".China has been very vocal in protesting the Dalai Lama's visit to Arunachal Pradesh from April 4 to 11 saying it would hurt bilateral ties with India.India has maintained that there has been no change in its policy towards Tibet and the negotiations with China over the border along Arunachal Pradesh following the Dalai Lama's visit.Ahead of visiting Arunachal Pradesh, the Tibetan spiritual leader also visited Assam where he attended the Namami Brahmaputra river festival organised by the state government.The Stilwell Road, constructed during World War II, connected Assam with Kunming in China.